US officials said a US Navy destroyer was again targeted in a failed missile attack from Yemen. The alleged attack is said to come from a Houthi-controlled area of the country. It is the second such incident in less than a week. 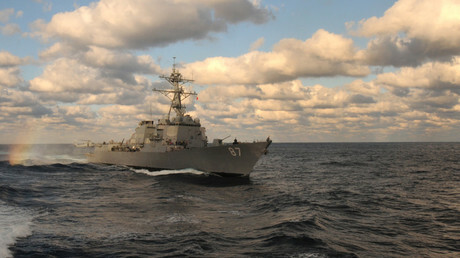 The destroyer, USS Mason, which was reported by Reuters as the target of the missile attack, fired defensive salvos in response. Neither of the missiles hit the ship or caused any damage said US officials. The destroyer has been operating north of the Bab Al-Mandab Strait. The Pentagon said it would respond to the failed missile attack on its US Navy destroyer off the coast of Yemen “at the appropriate time and in the appropriate manner." Pentagon spokesman Peter Cook said the USS Mason detected at least one missile launched from Houthi-controlled territory near Al Hudaydah, Yemen. "The ship employed defensive countermeasures, and the missile did not reach USS Mason," Cook said in a statement. Just yesterday the US said it was weighing what military response it should take against Yemen-based Houthi rebels, after two missiles were allegedly launched at American warships in the Red Sea on Sunday. A Pentagon spokesman, Navy Capt. Jeff Davis told reporters on Tuesday the US is still investigating the incident, including the exact location of the missile launches. 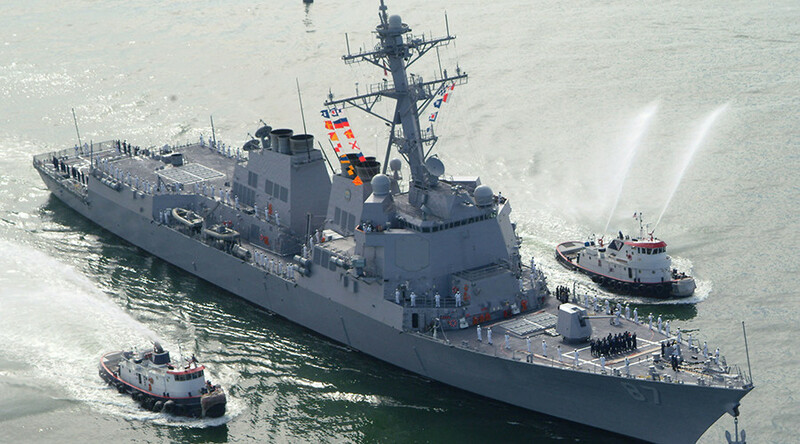 US officials believe Iranian-backed Shiite rebels, known as Houthis, launched the missiles at the USS Mason and USS Ponce. Both missed the destroyers. The SABA news agency of Yemen, which is controlled by Houthi, denied its forces fired on the USS Mason.